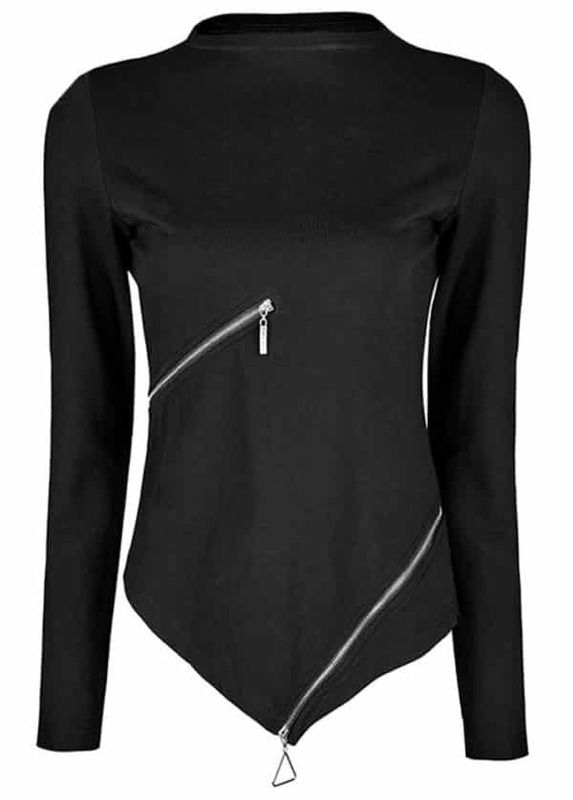 Punk Rave’s Katana Top is a fitted long sleeve top with asymmetric hem. The gothic top has a straight cut neckline and lots of zips that open meaning this alternative top can be worn in different ways. Purchase this product now and earn 51 - 51 Points!